Using professional voice talent for your radio station imaging is important for portraying the right image and feel for your show. The voice over demos below demonstrate a variety of voice imaging styles. 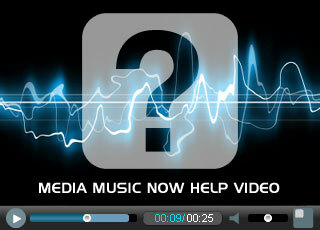 DJ drops, intros and radio promos are delivered fully produced by our audio producers. Our voice imaging service can be used to produce radio sweepers, liners and ID's for radio station imaging and custom DJ drops and intros for mobile, club or internet radio DJ's. DJ drops are short voice over files that have been recorded and processed ready to "drop" over music tracks. Listen to our DJ drop demo and see our DJ drop prices. Drops are voice only available with 19 vocal effects options. DJ intros, promos and radio station imaging identify your show. Creating a station promo / show introduction requires great voice over talent, modern sound effects and bags of audio processing to make your radio imaging sound loud and in-your-face! On a budget? Want some Free drops? Join our DJ Mailing List for free DJ stuff including lots of drops. We are specialists in audio production and work with experienced and professional voice over artists to produce radio imaging, custom DJ drops and intros to your exact requirements. We are also happy to use voice over and audio files provided by you. Our voice imaging service can be used to produce radio sweepers, liners and IDs for radio station imaging and custom DJ drops for mobile, club or internet radio DJ's. With the combined skills of our voice overs and audio producers we can create professional results at affordable prices. Looking for low cost DJ stock elements?